Nike is on a controversial-shoe streak this summer. First came the fanny pack pool slides (yes, you read correctly) and now, the brand is back with another one that you won't soon forget, and they're now available at Nordstrom. 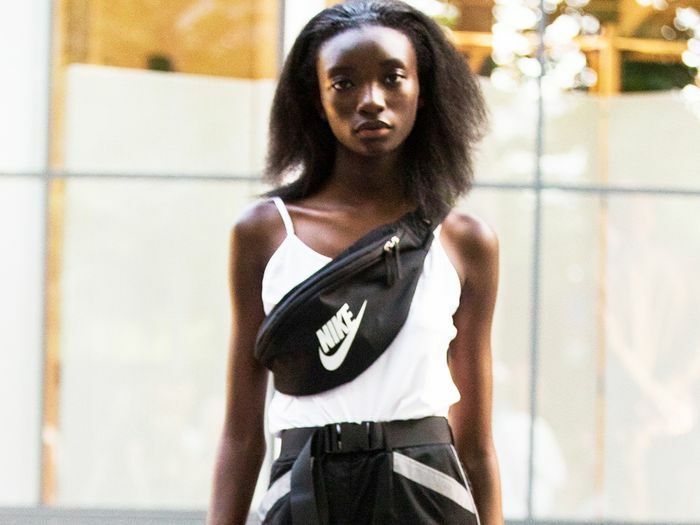 At Paris Fashion Week last September, Comme des Garçons, which is known for its avant-garde aesthetic, debuted a collaboration with Nike that the fashion world won't soon forget. The result of the collaboration is a sneaker/ankle boot hybrid with a high heel, and it's unlike anything we've ever seen. (Check it out on the runway below). 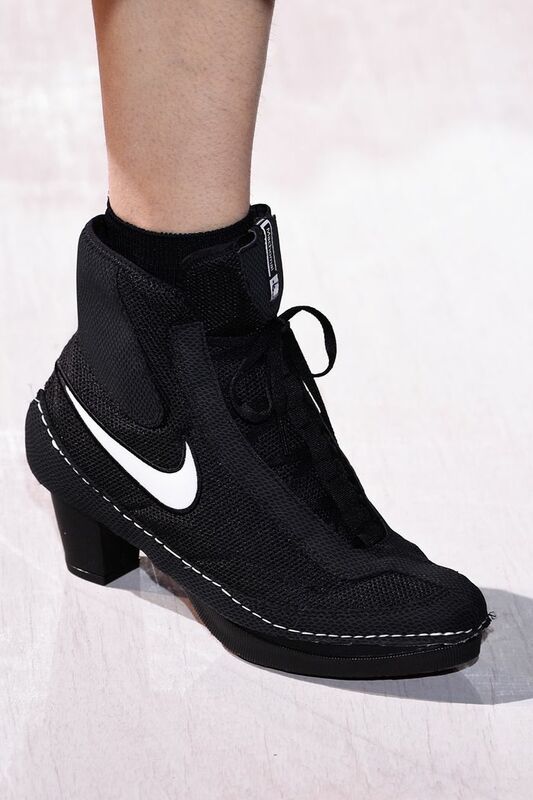 The sporty lace-up shoes are available in black/white and red/white/green, and they're retailing for a hearty $1350—because couture doesn't come cheap, folks. If these particular Nikes are outside of your comfort level and budget, not to worry. We found a few other cool options that are easier to wear and pay for.